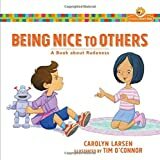 Why Is It Nice To Be Nice? World Kindness Day is a global 24-hour celebration dedicated to paying-it-forward and focusing on the good. We are encouraged to perform acts of kindness such as giving blood, cleaning a communal microwave at work, or volunteering at a nursing home. Of course, even without the encouragement of an international awareness day, kindness and selflessness are widespread among both humans and animals. Many people donate to charity and feel significantly happier as a direct result of doing so. In the animal kingdom, many species show kindness by refraining from violence when settling conflicts. Instead they may use comparatively harmless fighting conventions. Typical examples include male fiddler crabs fighting over a burrow but never crushing each other’s bodies with their huge pincers, rattlesnakes wrestling without ever biting each other or Bonobos helping strangers even without being asked. The benefits gained from receiving kindness are intuitively obvious. But the motivations for engaging in kindness are much less so. In fact, the very existence of kindness and altruism seems to contradict Darwin’s theory of evolution, based as it is on a competitive process of natural selection in which only the fittest survive. For example, the selfless behaviour of sterile ants, who protect their colonies from dangerous predators, poses a problem that Darwin himself at first considered “insuperable, and actually fatal to my whole theory”. So how could kind behaviour have evolved – and why was it not eliminated by natural selection? Many theorists have grappled with this problem over the years. We review the most prominent ideas below. Early approaches, from the time of Darwin up to the 1960s, tried to explain the evolution of kindness by hypothesising that individuals behave cooperatively for the good of their group or species, irrespective of personal costs. This theory – “group selection theory” – was the only explanation for many decades, but it is now regarded with scepticism. How could cooperative populations, which allegedly survived better than competitive populations, have evolved in the first place? Part of the answer is provided by the more recent selfish gene theory, widely known through Richard Dawkins’s bestselling book, or “inclusive fitness”, according to which natural selection favours kindness to our close relatives, who look similar to us and share our genes. Helping a relative is a way of passing on copies of our own genes, and it benefits the helper in proportion to how related he or she is to the recipient. But this does not explain kindness towards people with no shared genes. So in the case of unrelated individuals, another theory has been put forward. The theory of reciprocal altruism includes the idea of “I’ll scratch your back if you’ll scratch mine”, which can be a win-win strategy. If two unrelated individuals take turns in being kind, they thereby establish a relationship of repeated cooperation benefiting both. In fact, certain social emotions such as guilt, gratitude, and sympathy may have evolved precisely to detect and avoid cheats in this system and thereby foster relationships of reciprocity, so crucial in human evolution. But this theory does not explain kindness towards strangers that we do not expect to meet ever again. In such one-off interactions, kindness could be promoted through indirect reciprocity. This occurs when we observe people being kind to others and act kindly towards them in return. Real-life evidence suggests that people are more inclined to help strangers if they were previously observed to act kindly themselves. Consequently, everyone is motivated to cultivate a reputation for kindness through generous behaviour that others will know about. Such a reputation is likely to elicit kindness from others and may therefore yield long-term benefits. But that does not explain kindness in situations when no observers are present. Here, the concept of altruistic punishment has been proposed. This theory states that some people have a hardwired instinct that makes them want to punish unkind or selfish people by calling them out, ostracising them, or confronting them directly. Such punishment is “altruistic” because it provides a public good at some cost to the punisher in time, effort, and possible risk of retaliation. Evidence for altruistic punishment across a large range of populations and cultures has been reported. The risk of suffering altruistic punishment therefore functions as a social pressure to be kind – even when no-one can see you do it. Taken together, these theories show that kindness does not necessarily contradict Darwin’s competitive process of natural selection. Kindness is rational. But does its rationality undermine its spontaneous appeal? Is kindness merely a carefully disguised behavioural expression of selfishness? Does altruism even exist? While the philosophical debate rages on, it may be reassuring to remember that, no matter the motivation, acts of kindness not only improve overall societal welfare, but also make altruists feel good. Something to bear in mind, perhaps, this World Kindness Day.